This is a HUGE silver dish from the now closed Plaza Hotel, New York. The dish has a few dings and bruises from its years of service at the Hotel, but the silver still looks beautiful. I love the patina it has as is, but, it would polish up beautifully as well. This piece has the feel of dishevelled elegance, if you're looking for something more pristine, I'd suggest some of the other silver that I rescued from The Plaza! 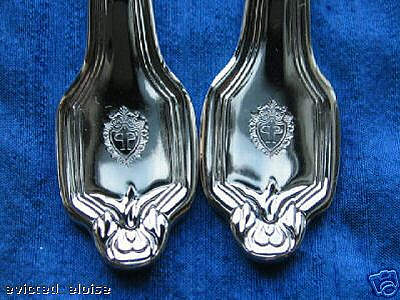 This is a traditional silver demitasse spoon from the Plaza Hotel in NYC. While cleaning out the attic for the sale they found some silver that had never been placed into service and was still tightly wrapped in tissue in the original boxes. The spoons are bright and shiny with no tarnishing whatsoever. The spoon is stamped "WORLD". This is what is known as hotel plate, a very heavy and durable silver plating. These spoons are a great way to remember this wonderful hotel now that it has closed it's doors!! The famous "double P" logo is clearly visible on each handle. These spoons would make wonderful baby spoons. The size is just right. These would be a perfect shower gift! A family tradition to be passed on from one generation to the next. 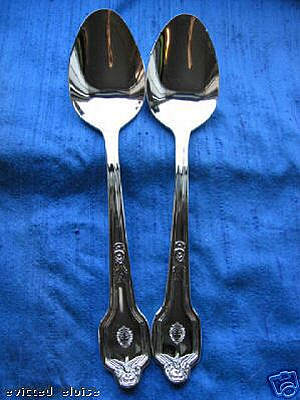 A pair of traditional silverplate spoons from the Plaza Hotel in NYC. While cleaning out storerooms for the sale they found some silver that had never been placed into service and was still tightly wrapped in tissue in the original boxes. The spoons are bright and shiny with no tarnishing whatsoever. The spoon is stamped "WORLD" and are approximately 8.5 inches long. This is what is known as hotel plate, a very heavy and durable silver plating. The silver used to plate these items is 100% pure silver...not .925 sterling silver, so the color of the silver is spectacular!! These spoons are a great way to remember this wonderful hotel now that it has closed its doors!! The famous "Double P" logo is clearly visible. The tray is in mint (never used?) condition. It stands about 13 inches high. The tiers are approximately 11, 8 and 6.5 inches in diameter. There is a beautifully detailed key handle at the top. Ten elegant paper guest towels from The Plaza Hotel New York!! These are tied with authentic Plaza ribbon and would make a lovely gift. These brand new towels are the same one's that were handed out by the attendants in this wonderful legend. They make wonderful collectibles now that The Plaza, NYC has closed. This gleaming piece of top-quality 18/10 stainless steel is unused old-stock from the famous Oak Bar. This shaker holds 8 ounces or 0.23 litres and stands six inches high. It consists of three pieces; the lid, the strainer, and the base.The exterior of the shaker has been polished to a high-gloss finish. 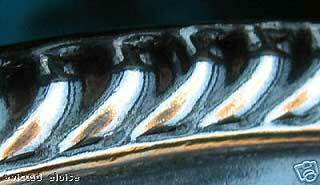 The piece is marked 18/10 STAINLESS on the bottom. The cup-like base is a great piece on its own. I can think of a thousand uses for this little stainless cup with the double P logo.It could hold Q-tips or toothbrushes in the bathroom. It is stable enough to hold pencils and pens on a desk, and the most obvious may be to just use it as a little stainless drinking cup. Of course, as usual my first thoughts are of using it as a little vase. It also looks great as a vase with the strainer top on. This gives more of the silhouette of the cocktail shaker which adds a bit of fun to the arrangement. The strainer itself works as a frog holding the stems in place! This solid, high-quality product makes a wonderful gift for any Plaza Hotel enthusiasts you know. 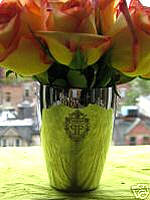 The famous double P logo of The Plaza Hotel is prominently placed on the front of the base in gold. This is an incredibly elegant little urn from The Plaza, New York. These silverplate urns are from new stock that were found in a cupboard near the end of the recent liquidation sale. They are still in their boxes. They were to be used in the Oak Room & Bar. Traditionally they were cigarette and toothpick urns, but they would make lovely candle holders or petite vases as well. On either side of the urn there is a lion holding a ring in its mouth. The rings can move. These Grecian urns match the larger ones that were found outside the Terrace Room on the mezzanine floor of the hotel. The vases stand 3.5 inches high and 2 inches in diameter. They are mint in their original boxes. from The Plaza, New York. These gleaming pieces of silverplate are from new, unused old-stock that was found in a cupboard near the end of the recent liquidation sale. They were still in the manufacturer's packaging. 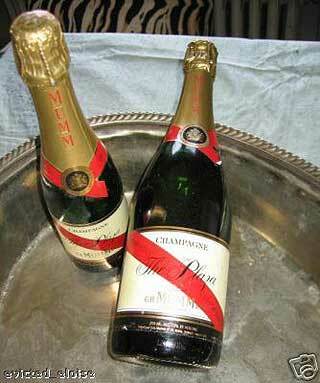 They were to be used as bottle coasters in the Oak Room & Bar, as well as the Palm Court. Although traditionally they were made to insulate and decorate bottles, they make lovely vases or desk top accessories as well. (It's easy...a Fiji 1 litre (33.8 fluid ounce) bottle fits perfectly. Just take an empty bottle and cut along the horizontal line on the back label...and voila, you have a PVC water-proof, liner without spending a penny! The packets are held in place with a beautiful piece of authentic logo Plaza ribbon. Tied in a bow, this blue and gold ribbon completes an elegant gift presentation. This tray is black with "The Plaza" written in gold script with the "double p" shield emblem or monogram in gold above it. The tray is vintage, but has never been used. It is still in its original plastic. The tray measures 5 inches by 12 inches. The edge is 3/4 of an inch high. There are four little castors on the bottom to protect any fine furniture. It could have easily held vanity items, such as perfume and makeup brushes, lipstick etc.